It's absolutely fascinating how many people still don't know about HAARP and weather modification. It is almost as if the information does not reach the masses as so many remain completely unaware of what this global military operation is about. Our advice on HAARP is to be aware that it exists, but although very relevant today, there is some evidence coming forward that this land based HAARP project will not be functional in the coming decade as it's already satellites based, out of the short view of truth seekers (called conspiracy theorist by MSM) and had already been used to enhance Super Typhoon Haiyan (Yolanda) in 2013 destroying SouthEast Asia and Polar Vortex in 2014 at North America destroying infrastructures and food productions. In the meantime, know that the weather you see, whether in front of your window or around the world, may not be naturally occurring at all. HAARP can exercise a form of complete “weather control”, a situation bearing a marked similarity to the Monsanto corporation's stated ambition “to control the food chain.” It is noteworthy that there are currently more than 500 ‘climate ready’ genetically modified plant gene patents awaiting licensing approvals in Washington and Brussels. ‘Climate Ready’ GM seeds and plants are promised by their creators to be capable of producing a crop under both flood and drought conditions. Read House of Windsor story to know more about who owns BAE and Monsanto. The following is extremely well researched and documented. This is information that all people across the planet should be aware of Weather Weapons, while the Club of Rome, the so-called 'government' and NASA are blaming the 'people' for "climate change", the industrial military complex is covertly and intentionally creating climate devastation across the globe. Before you read the following, please note that: it was NASA that introduced the global warming theory. The Club of Rome (read Crown Council of 13) is a conspiratorial umbrella organization, a marriage between Anglo-American financiers and the old Black Nobility families of Europe, particularly the so-called "nobility" of London, Venice and Genoa. The key to the successful control of the world is their ability to create and manage savage economic recessions and eventual depressions. The Committee of 300 looks to social convulsions on a global scale, followed by depressions, as a softening-up technique for bigger things to come, as its principal method of creating masses of people all over the world who will become its "welfare" recipients of the future. 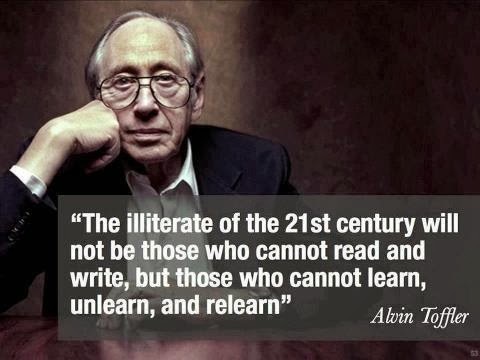 Are you the illiterate of the 21st century? Declassified records show that from 1949 to 1955, the Royal Air Force (RAF) released various substances, including dry ice, silver iodide, and salt into the atmosphere at high altitudes in order to induce rain. ‘The clouds would then precipitate, pulled down below freezing point by the extra weight of dense particles, thus making it rain sooner and heavier than it might have done’, the Guardian reported.1 Using chemicals supplied by ICI, ‘international scientists’ were involved in the experiments, including specialists from the Cranfield College of Aeronautics and the RAF’s meteorological research base at Farnborough. Perhaps the most significant aspect of the programme was that the weather weaponisation experiments continued three years after they had produced the worst recorded flood in British history, the Lynmouth disaster of 1952. 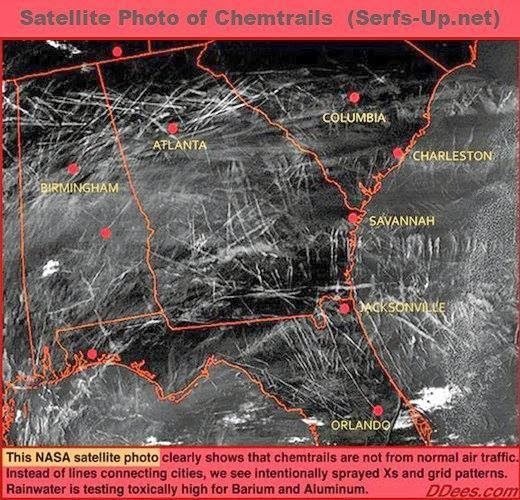 The existence of chemtrails has been repeatedly denied by the Rockefeller (a Rothschild) controlled scientists and government officials around the world, who say the trails are normal contrails. These ideas are hardly new, and neither is the technology to induce floods or droughts. What is new, however, is the electromagnetic weaponry available to do these things on a global scale, and to accurately plot global weather patterns using a complex array of network-centric weather stations and, in the future, space-based thermal lasers. According to James Fleming, ‘Operation Popeye’ was not limited to Vietnam: it also flooded Laos, India, Pakistan, the Philippines, Panama, Portugal, and Okinawa.36 The goals were: ‘(1) Softening Road Surfaces (2) Causing Landslides Along Roadways (3) Washing out River Crossings (4) Maintain[ing] Saturated Soil Conditions beyond the Normal Time Span’. 37 Does this sound familiar? This is what we are witnessing across the world (mostly in Third World nations) today. Mudslides are particularly affecting America’s ‘backyard’, as Nixon called Central and South America, with devastation in Colombia, Brazil, Venezuela, and other emerging economic and political threats to US hegemony. 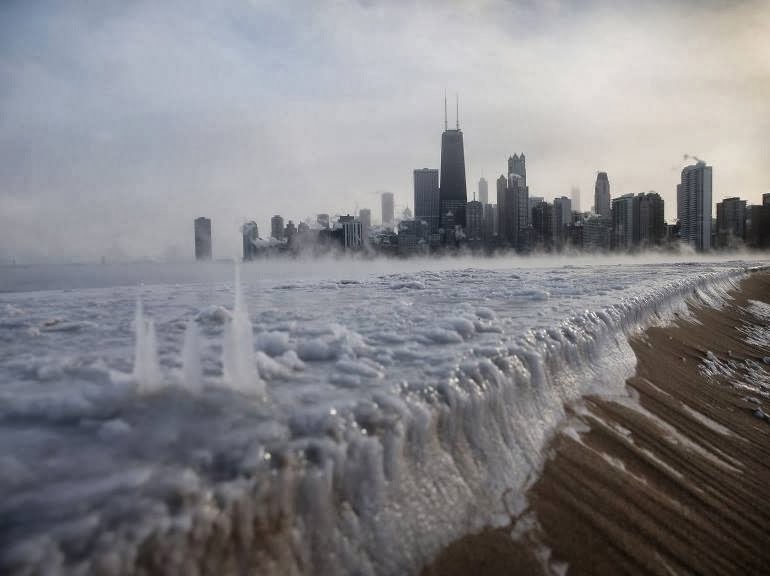 In 1975 the US and Canada signed a treaty at the United Nations, which prohibited weather modification ‘because of their geographic proximity……. the effects of weather modification activities carried out by either Party or its nationals may affect the territory of the other.’40 This led to a world-wide treaty on environmental warfare, the UN Convention on the Prohibition of Military or Any Other Hostile Use of Environmental Modification Techniques (the ENMOD Convention 1977). Major Barry Coble claimed that funding for weather weapons ‘was eliminated in 1979. Since then there has been no active research effort into weather modification by DOD [the Department of Defense].’ However, Coble also mentioned that ‘A pulsed laser literally causes water droplets to shatter [evaporate]’ 46 and it must be possible that the airborne laser, drones, and the coming space weapons will be used for weather modification and kept in secret programmes. We have seen that the US and UK have had the ability to cause massive floods and droughts for decades, and have used the technologies to devastating effect – even on their own people. Indeed, a US Navy weather modification document acquired by Wired magazine stated that the purposes of weather warfare are: ‘(1) To impede or deny the movement of personnel and material because of rains, floods, snow-blizzards, etc. (2) To disrupt economy due to the effect of floods, droughts, etc.’ 57 The weather weapon platforms are also moving into the space domain it would appear, with monstrosities like the HAARP heater, which targets the ozone layer and the electrojet. The above comes from the Air Force document, Weather as a Force Multiplier: Owning the Weather in 2025.58 It must be an Air Force standard because it appeared a year later in a PowerPoint presentation given by Johns Hopkins University specialist Arnold A. Barnes at a ‘Weather Modification Test Technology Symposium’59 to officials from the Air Force, the Air Force Phillips Laboratory, and the Air Force Materiel Command. An Air Force document advocating the application of ‘benign weather modification’ – the biggest oxymoron since ‘military intelligence ’– noted back in 1997 that ‘The Chinese recognize the value of weather modification and believe, incorrectly, that the US military continues to use weather as a weapon.’ 60 The phrase ‘incorrectly’ is itself incorrect because as that paper was being written, the Johns Hopkins University symposium on weather warfare was taking place. According to Jason Jeffrey, ‘earthquakes can be induced in five major ways: fluid injection into the Earth, fluid extraction from the Earth, mining or quarrying, nuclear testing and through the construction of dams and reservoirs.’ Jeffrey added that ‘Geologists discovered that disposal of waste fluids by means of injecting them deep into the Earth could trigger earthquakes after a series of quakes in the Denver area occurred from 1962-1965.’67 The Europhysics News journal inadvertently suggested that the US triggered an earthquake in Alaska in 1964 by detonating high-altitude bombs. It is significant and disturbing that the Psychotronics Association expressed an interest in this technology because MacDonald’s chapter, quoted above, noted that ‘The enhanced low-frequency electrical oscillations in the Earth-ionosphere cavity relate to possible weapon systems through a little understood aspect of brain physiology.’ HAARP emits these low frequency waves. Given that everything else Cohen mentioned (insect-machines, Ebola, ethno-viruses) are being openly worked on by the Pentagon,77 why wouldn’t the use of geophysical warfare also be in the pipeline? Just as the Pentagon claimed that it wanted to prevent a ‘space Pearl Harbor’ and a ‘weather Pearl Harbor’, Cohen was basically saying that the US is engaging in eco-terrorism under the pretext of preventing, what might be called an ‘earthquake Pearl Harbor.’ Cohen was using the same propaganda coupled with old technologies and new advances in microwave weapons. Also in 1997, USAF’s Geophysical Directorate stated that their ‘Seismic program’ had been transferred to the Defense Nuclear Agency.78 This might indicate that nuclear weapons could be used to cause earthquakes, via subterranean detonations or high altitude explosions. For several years now, specialists such as the World Meteorological Organization and the United Nations Environmental Programme have reported that water-related weather (hydro-meteorological phenomena) is becoming more frequent and more severe. 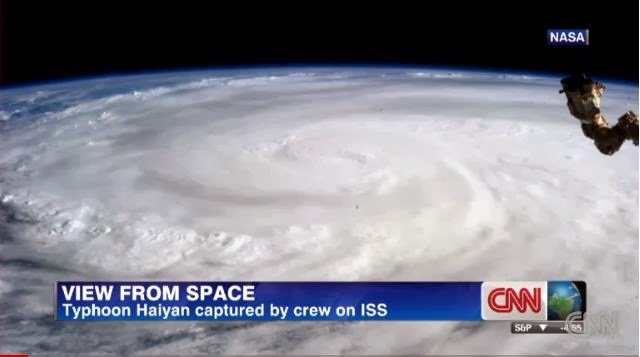 Are the American military now using weather weapons? The exploitation of the atmosphere for weather modification and/or geophysical warfare is strictly prohibited by the ENMOD Convention (1977). The exponential rise of hydro-meteorological phenomena in countries that the US had explicitly targeted for new types of warfare, coupled with the frequency of hard-to-explain earthquakes, should be enough to make us seriously consider the possibility that environmental warfare is now a part of America’s New World Order canon. The recent stance of the US military and its failure to act in relation to flight MH 370 bears a canny resemblance to that adopted by Washington in relation to the Indian Ocean tsunami tragedy in December 2004. Both events pertain to advanced observation and tracking technologies located at Diego Garcia. In both cases the US military remained mum. In the wake of the Indian Ocean tsunami hitting the coastline of Sri Lanka and Thailand on December 26, 2004, “a spokesman for the US national weather service confirmed … that the Hawaii centre, part of America’s National Oceanic and Atmospheric Administration (NOAA) had alerted the Diego Garcia base. He did not know if American military personnel at the base alerted anyone else in the region to the danger.” (The Guardian, January 6, 2005) The Weather Service alerts the Military? The presumption was that the people at the Diego Garcia military facility were totally unaware of what was going on and had no information concerning the tsunami and its deadly trajectory. An absurd proposition. Known and documented, the US military at Diego Garcia had advanced systems which enabled it to monitor in a very precise way the movement of the seismic wave in real time as well as the precise trajectory of the Tsunami. Yet they chose not send out an emergency warning which would have saved hundreds of lives in Thailand, Sri Lanka, India and Malaysia. Who informs whom? While the Hawaii Centre had formally notified Washington and the Military at Diego Garcia, the US government already knew, because the seismic data pertaining to the tsunami (which emanated out of the Diego Garcia facility) had been processed within minutes by an agency under the jurisdiction of the US Department of the Interior, namely the National Earthquake Information Center (NEIC) based in Golden, Colorado. Eisenhower originally called it the Military-Industrial-Congress Complex (MICC), but abbreviated the term. Canny weapons manufacturers have assembled sub-contractors in every state, e.g. the F-22 had a thousand of them in 42 states, the F-35 has 1300 suppliers in 45 states. Supporters now even advertise their weapons programs as a jobs program. (Just imagine if all those smart workers were rebuilding America's crumbling infrastructure instead). On any war or bombing issue most establishment Republicans and Democrats vote in favor. Witness that most long term Republicans supported attacking Serbia, while most Freshman/Sophmore Republicans voted in opposition. It's not just the cost. The Complex also prefers to continue producing high profit old weaponry. There is little of a money donating constituency for new weapons from new manufacturers, hence Washington goes on funding more old weaponry, e.g. too many subs, fighter planes and aircraft carriers (as some say, to refight the Second World War). Equally there is little constituency for civilian defense, e.g. shielding the civilian economy form electromagnetic pulse weapons. Instead the Complex focuses on offensive weaponry and then supports those who promote getting America into more, unending wars. Washington's establishment -- journalists, think tanks, military, Congressmen, security bureaucraciesnearly all thrive on war and conflict overseas. Pro-war Think Tank intellectuals, subsidized by the Complex, are a new, major force for promoting wars. Their trained, practiced, credentialed spokesmen with lifetimes as Washington insiders give authority and academic gravitas to War Party objectives. When Bush first came in, before 9/11, Neocons wanted confrontational policies towards Russia, then conflict with China was strongly promoted, now it's the Muslims, but, for them, most any war will do. Earmarks, 15,000 of them brought to view in the '06 defense budget, have become a major new source of funding for the War Party. Billions of dollars are sent, without hearings, unquestioned because they are for "defense," to many Congressional districts, in return for which come support and donations to campaigns to insure incumbent re-election. Now also the new system of private contractors has created a whole new constituency for more wars. In Poland the new plan for anti-missiles is not some grand strategy, it's purpose, rather, is to generate another way to send billions more money to the defense companies. Europeans won't pay for it, but Washington is eager to pay all its costs. If it then aggravates Russia to react, the complex benefits from then hyping Russia as a renewed threat. This then triggers more military spending and profits. And why, when new weapons are so incredibly accurate, do we still need so many planes and submarines (57 nuclear ones), bombs and missiles? It's the profits in making them. American strategy violates Sun Tzu's most basic precept, a great general wins without war. For Washington, starting new wars means new profits for the MICC. You already know about Snowden unveiling the secret of heavy government surveillance via the NSA and CIA on its own people, but the whistleblower has released another information bomb that will make chemtrail watchers and suspects of the ‘conspiracy’ of a eugenics program sit up and listen. According to Snowden, chemtrails are part of a ‘benevolent’ program to stop global warming. 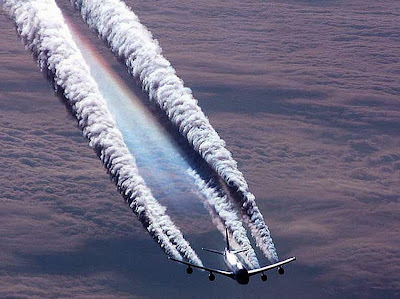 By cooperating with jet fuel manufacturers (and though he doesn’t say this, likely branches of the military) the government has been spraying the skies with chemicals in order to keep us from severe draught and other weather patterns which would cause famine in large swaths of the United States. But here’s the biggest shocker – with cooperation from Monsanto. During its early years, Monsanto produced PCBs (Polychlorinated biphenyl) to be used in various industrial applications. PCBs, while very stable and good at acting as a liquid insulator, are extremely toxic to virtually all forms of life – they are carcinogenic, highly toxic, and corrosive upon contact with skin or mucus membranes. Even as evidence mounted of the toxicity of PCBs, Monsanto continued to produce them until they were forced to stop when the government banned all domestic production of PCBs in 1977. The Monsanto Corporation has a long and sometimes unfortunate history of creating new and powerful pesticides. The infamous “Agent Orange”, used in Vietnam to destroy jungles, and the powerful pesticide DDT were two of the primary pesticides produced by Monsanto during its early years. While Agent Orange and DDT are now outlawed due to the massive damage they cause to human life as well as the environment, Monsanto continued producing them for as long as the law allowed. 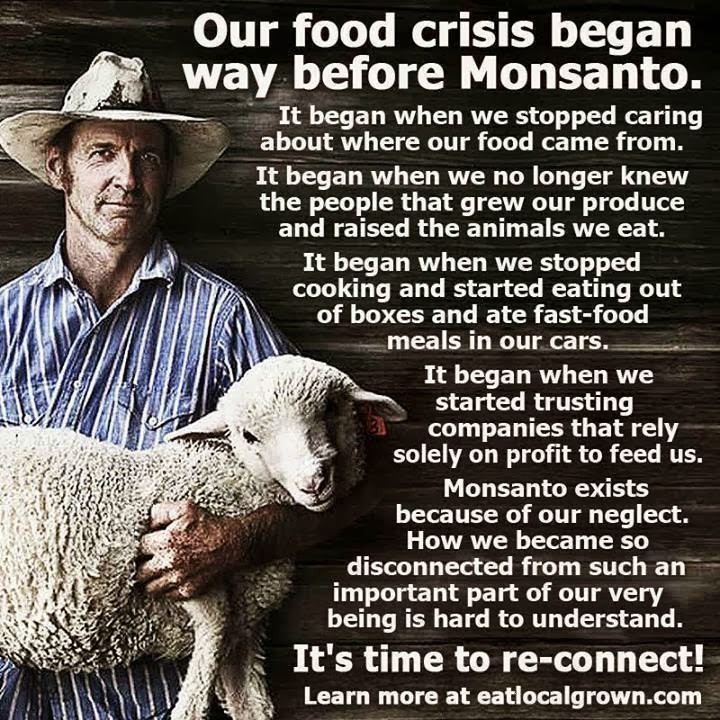 The gigantic costs to human health and to the environment caused by the sale of Monsanto pesticides, even once they were deemed too dangerous to use, resulted in many ruined lives and destroyed ecosystems for society, but huge profits for Monsanto. And remember: not only Monsanto produce depleted uranium bombs and used to kill many children across the Middle-East, their genetically modified wheat is only the beginning. Monsanto has no doubt unleashed genetic pollution across many other crops as well. We’re now living in an age where Monsanto is essentially ejaculating its patented seed across all the farms of the planet, then claiming to “own” the contaminated crops. What a wonderful image of corporate responsibility and service to humankind. A Monsanto secret geo-engineering lab was set up, known by insiders as the ‘crown jewel’ or Muad’Dib. This lab has been operating since the 1960s without the knowledge of the people. Climate change is a big threat to Big Ag, but is this part of another smear campaign to hide deeper truths about what chemtrails are doing to us all? There is no doubt Monsanto is capable of something like this, but is this just a government attempt to address what is becoming exceedingly clear to more people all the time – that our skies are full of poison trails, that aren’t contrails at all? Snowden also stated that the Maud’Dib program was set to go forward at all costs – even if it meant accelerating desertification in African or spreading carcinogens over countless people in populated areas. Scientists even predicted many of the side effects we are seeing now, including droughts in the Amazon and windstorms throughout the East Coast. Snowden shared documents through The Internet Chronicle, which has also published rumors of his supposed suicide. Names of scientists were not disclosed in order to prevent them from being targeted by our governments or foreign counterintelligence. According to Snowden, if chemtrails were stopped, the scientists behind the program believe that our climate would spiral out of control. 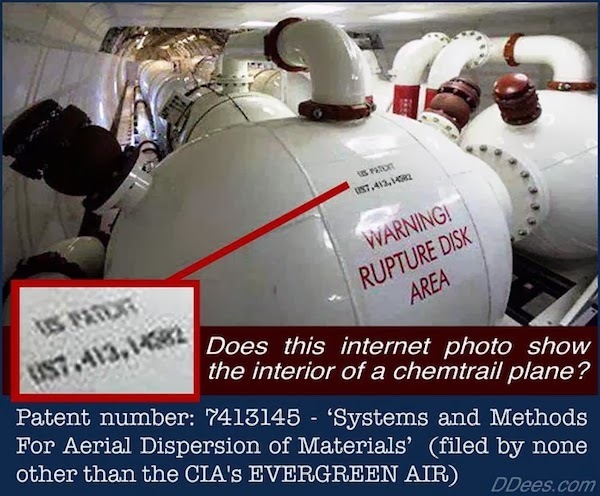 Deciding whether or not you believe Snowden’s story is up to you, but the mere unveiling of a reason behind chemtrails means that someone noticed we are noticing. The ‘additives’ being released by even passenger planes now have been filmed across the world by people in countries as varied as Australia, Europe and Asia. From California to Michigan, we aren’t the only ones being sprayed. The true reasons behind chemtrails and geo-engineering are probably yet to be completely disclosed. THIS IS WHERE The recently rearranged face of US Secretary of State, the lovable John Kerry enters the frame, with a kind offer to help the poor people of the Philippines rebuild their shattered infrastructure. This means forcing the ASEAN Nation to serrounder their National Sovereignty and accept their Corporate fascist TPP agreement. 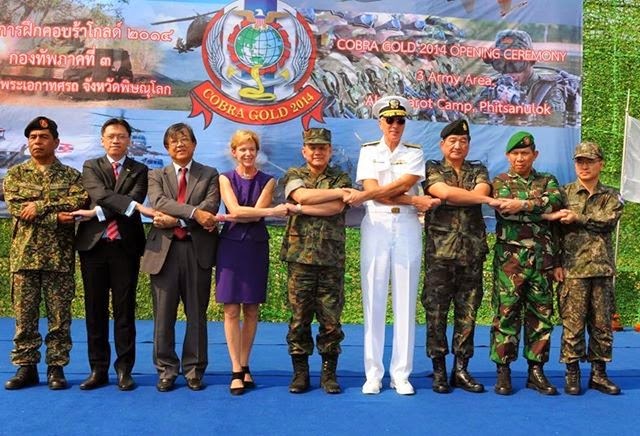 Cobra Gold US Army base in Thailand (Phitsanulok) is a British Empire base with one of their agenda 21 mission is to manipulate the weather. 10 Kenney quoted in James R. Fleming, ‘The Climate Engineers: Playing God to Save the Planet’, Wilson Quarterly, Spring, 2007, p. 55. 13 Fleming: see note 10. 25 Orville cited in ‘Case Study 2’ (see note 16) pp. 4-5. 26 Fleming, see note 10, p. 48. 27 These quotations are from ‘Case Study 2’ (see note 16) pp. 5-8. 28 Florez cited in Fleming (see note 10) p. 55. 29 ‘Case Study 2 (see note 16) p. 8. 33 Col. Tamzy J. House et al. See note 9. 35 William Blum, 2000, Rogue State: A Guide to the World’s Only Superpower(Maine, Common Courage Press, 2000), p. 109. 36 Fleming: see note 10. 39 International Committee of the Red Cross, ‘Conference of Government Experts on the Use of Certain Conventional Weapons’, Lucerne, 24.9, 18 October 1974, Geneva: ICRC. 40 United Nations, ‘Agreement Between Canada and the United States of America Relating to the Exchanging of Information on Weather Modification Activities’, United Nations Treaty Series, Vol. 977, 1-14202, pp. 386-91. 41 United Nations, ‘Convention on the Prohibition of Military or Any Other Hostile Use of Environmental Modification Techniques’ (ENMOD Convention 1977), Geneva, 18 May 1977. 42 Editorial, ‘Report calls for more US research on weather modification’, New Scientist, 20 July 1978. 44 Steven A. Hildreth and Christopher Bolkcom, ‘Airborne Laser (ABL): Issues for Congress’, Congressional Research Service, Order Code RL32123, 9 July 2007. 47 Ashley Cleek, ‘Russian Scholar Warns of ‘Secret’ U.S. Climate Change Weapon’, Radio Free Europe, 30 July 2010. Strategic Trends Programme 2007-2036’, Ministry of Defence, 23 January 2007 (3rd edition), p. 65. 49 Cited in Nick Begich and Jeane Manning, Angels Don’t Play This HAARP: Advances in Tesla Technology (9th edition) (Anchorage: Earthpulse Press, 2007) p. 68. 58 Col. Tamzy J. House et al, see note 9. 67 Jason Jeffrey, see note 63. 68 Philippe Lognonné, Raphael Garcia, François Crespon, Giovanni Occhipinti, Alam Kherani and Juliette Artru-Lambin, ‘Seismic waves in the ionosphere’,Europhysics News, Volume 37, Number 4, 2005. 69 Sergey Pulinets, ‘Ionospheric Precursors of Earthquakes; Recent Advances in Theory and Practical Applications’, TAO, Vol. 15, No. 3, September 2004, pp. 413-435. 70 Gordon J.F. MacDonald, ‘How to Wreck the Environment’ in Nigel Calder (editor), Unless Peace Comes: A Scientific Forecast of New Weapons, (London: Pelican, 1968) pp. 119-213. 72 Cited by Jason Jeffrey, see note 63. 90 Gordon J.F. MacDonald, ‘How to Wreck the Environment’ in Nigel Calder (editor), Unless Peace Comes: A Scientific Forecast of New Weapons, (London: Penguin, 1970) pp. 119-213. 93 Begich and Manning, Angels Don’t Play This HAARP, (see note 49) p. 194. These are photos and descriptions provided to me by a confidential informant of what appears to be a chemtrail dispersal system. You be the judge, but it seems very likely that chemtrails are exactly what this system is for. Pump Inlet and Outlet - This picture is of the diesel motor that powers the system. The pump itself is the big disc shaped thing to the left of the big cylinder sticking up with a hose coming out of it. Ducts - These are the ducts the fluid travels to and from the pump in. Tanks - Approximately 4 1/2 feet high and 5 1/2 feet long each. They are installed on a cargo handling system in the main cabin, close to the over-wing exits. One tank is emptied through the widow plug on one side of the plane. Then the unit is switched over to the other tank, which sprays out of the other side of the plane. Sprayer screws on end - This is the part that actually sticks out of the window plug. The window plug is on the end that sticks out to show how it goes. Just behind the pipe beside the white bottle is the sprayer that screws on the end after the system is installed in the aircraft. New window plug - The existing window plug is taken out and this one is put in. The rubber somewhat seals around the pipe, but not well enough to pressurize the aircraft. It would be unable to fly above 10,000 feet unless everyone inside wore oxygen masks. Sprayer Exhaust Closeup - This is the left side of the aircraft. There is a sprayer coming out of one window plug, and an exhaust duct coming out of the other for the engine. Sprayer Closeup - This is the right side of the aircraft with the sprayer installed. Sprayer and Exhaust Installed - View from in front of the left wing. Below is a comprehensive list of patents that prove the existence of the Chemtrail spraying program. Originally the list I was intending to publish was 80+ patents long, but the Hubpages mechanics would not allow me to use the whole list. Apparently, a similar collection of patents can be found on other Hubs or websites, and therefore I am not allowed to include it in its entirety. In light of this issue, I have selected (what I believe to be) the most significant patents dealing with the Chemtrail process. A complete list of patents can be accessed through the link below, I apologize for not being able to include it in its entirety.